The is a media release distributed by FedEx, the Seattle Aquarium and the New England Aquarium. Commander will not be able to be seen by the public at the Aquarium until early March. A couple of special Northern fur seals will have an unforgettable Valentine’s Day this year with a little help from FedEx Corp. Commander, a nearly 300-pound 11-year-old male Northern fur seal, was transported via a donated FedEx flight from Seattle to Boston. Commander will soon meet Ursula, a 16-year-old female Northern fur seal, one of the species’ last reproductively viable females in an American zoo or aquarium. 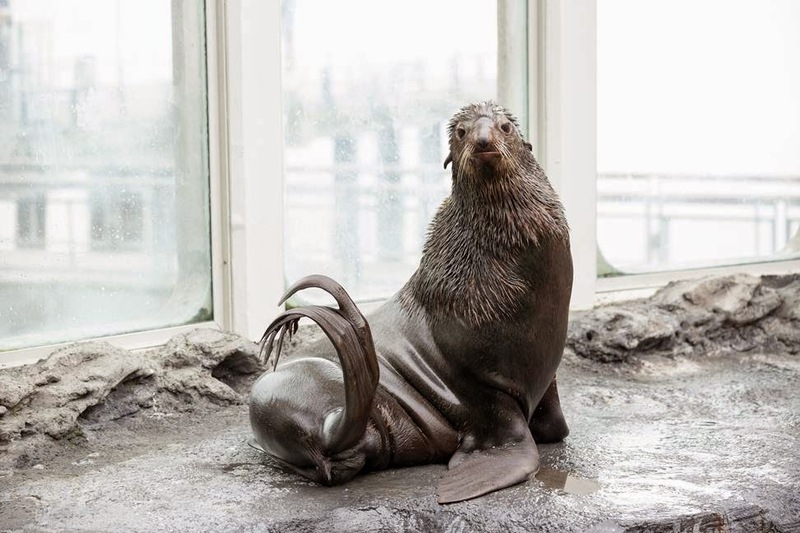 The number of Northern fur seals in U.S. aquariums has dwindled to just nine, and the rendezvous, just in time for Valentine’s Day, is part of a breeding collaboration between the Seattle Aquarium and the New England Aquarium designed to increase the population. Commander was transported by FedEx in a specially-designed enclosure, and he was accompanied by his veterinarian and one of his trainers throughout his journey. He will make his new home at the New England Aquarium, where he will be introduced to a community of fur seals, including Ursula. 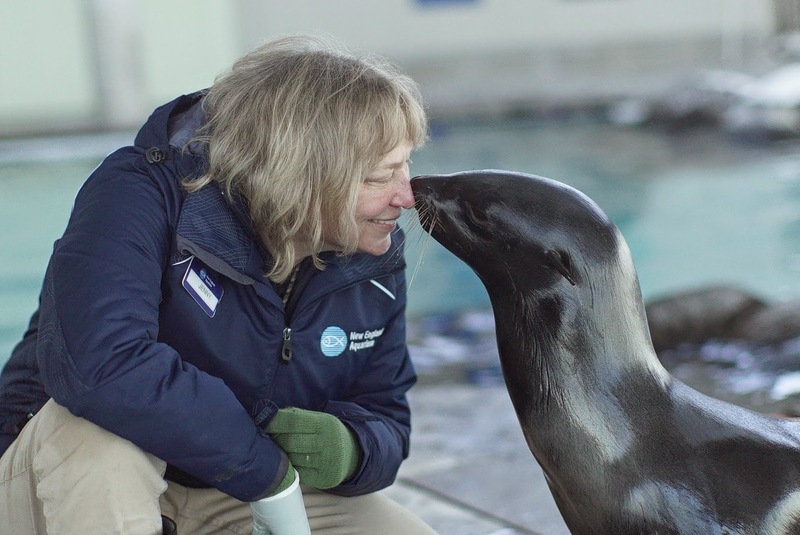 “Commander will be introduced to our colony of fur seals well before breeding season, which begins in the summer,” said Kathy Streeter, New England Aquarium marine mammals curator. “This will give him enough time to adapt to his new home and engage in courtship behaviors with Ursula. The Mystic Aquarium in Connecticut and the New York Aquarium are also part of the nationwide breeding effort. Northern fur seals, which have some of the thickest fur of any animal in the world, were once hunted for their pelts, but are now protected under the Marine Mammal Protection Act as a depleted species. It is estimated there are about 666,000 in the wild, but that number is decreasing. They can be found throughout the northern Pacific Rim, and their main breeding colonies are in the Pribilof and Commander Islands in the Bering Sea. The New England Aquarium is one of the most prominent and popular aquariums in North America and is a recognized international leader in ocean conservation, education and research. The Aquarium is among New England’s most-visited tourist attractions and is cultivating widespread public awareness about the benefits and responsibility in improving the health of the oceans and the Earth. We're so glad you got to see this big, handsome guy! We just posted another blog about Commander so look for more pictures here: http://trainers.neaq.org/2015/04/commander-settling-in.html Thank you for visiting! !